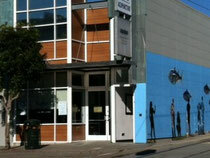 Location & Directions - acupuncture-sf's JimdoPage! The office is located right next to the Muni tracks, in the building with the fish mural. Just walk right through the Pilates studio to our waiting area before your appointment, and make yourself at home! Use the map below to find the best route to us. Metered parking on Ocean Avenue; not recommended unless you have a handicapped placard. (One hour is seldom enough time for first appointments, which can last over two hours). Free 2-hour parking around the corner on Beachmont Dr, Lagunitas Dr & Woodacre Dr.
You should not have acupuncture on an empty stomach! Have a light meal before your treatment.